As you know (or can guess), I cook a lot, and wherever possible, I get the kids involved. They love it, it keeps them entertained instead of stuck in front of the TV while the dinner is cooking and best of all, it helps them to learn about what goes into their food. We cook sweet recipes, savoury ones, healthy dishes, occasional treats – anything we can think of really! 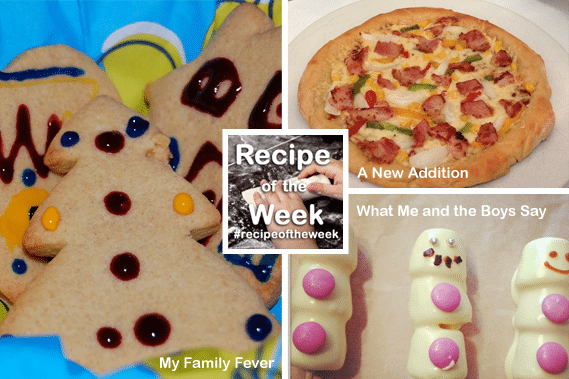 Now, of the 40 wonderful recipes added to #recipeoftheweek last week, several fitted the ‘cooking with kids’ theme, so here are three that I hope will inspire you with new ways to get creative in the kitchen with your little ones. 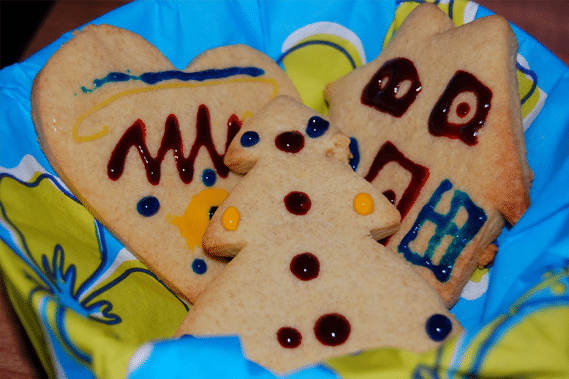 First up, these cute and simple Christmas sugar cookies from Family Fever. It’s a really simple dough to make, and then the kids can be as creative as they want to be when it comes to the decoration. A great activity to develop fine motor skills too. 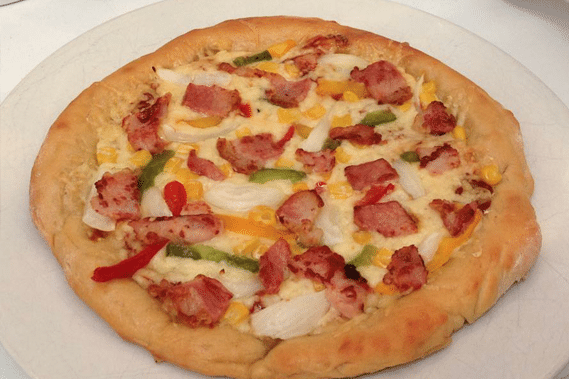 Next, this simple, kid friendly pizza recipe from A New Addition looks like great fun to get the kids involved with and for fussy eaters, it can be a great way to get them eating as they can choose exactly what toppings go on. 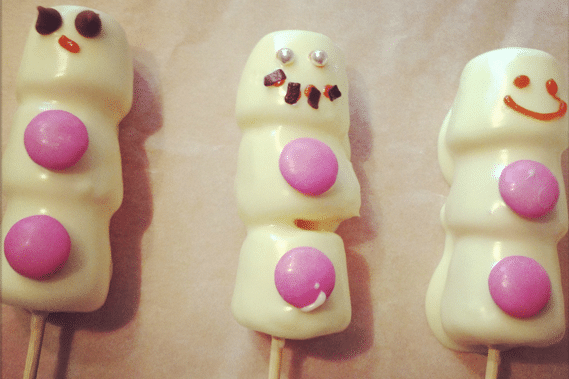 And finally, these adorable white chocolate and marshmallow snowmen treats from What Me and the Boys Say. I’m definitely going to be trying these with my two – they look like great fun to make. Oh I think my little man would love to make those marshmallow snowmen! Off to pinterest to check out more fab ideas. That all looks scrummy this week. Especially love the lollies! I love ideas when the kids can join in! Ooh! I love the look of those marshmallow chocolate snowmen! Adorable and a great Christmas activity/treat.